Don’t let the sunshine fool you: it is definitely still winter outside. Don’t think so? Just ask the hundreds of Illinois drivers involved in motor vehicle accidents, throughout the state in the wake of yet another blast of arctic weather. Law enforcement agencies across the Midwest have reported numerous injury-causing accidents, some of which – like the one that took the lives of four teenagers outside of Wilmington – have been fatal. One of the greatest threats to drivers on days when temperatures fluctuate is the phenomenon of black ice. Black ice shows up when the heat of exhaust and friction from tires temporarily melt frozen precipitation on the road’s surface. Once the temperature drops below freezing again, the surface refreezes, forming an icy layer that is nearly invisible to the naked eye. Black ice is commonplace in Illinois in the wintertime, and many drivers take precautions like lowering their vehicle’s speed, not making sudden movements (which could spin the vehicle out of control if ice is encountered) and having winter/snow tires put on their cars. Unfortunately, those same drivers who are careful in the height of winter weather can become complacent when spring is around the corner, assuming that warmer daytime temperatures mean that the roads are all clear. That type of assumption can lead to serious car accidents, though. Drivers can hit patches of black ice without warning, sending a vehicle spinning out of control, unable to avoid striking other vehicles, sliding off the roadway or slamming into stationary objects like light poles or buildings. A preliminary investigation into that fatal Wilmington accident shows that the teenaged driver likely hit a patch of ice, skidded out of control, slid through a guardrail and ended up in a partially frozen creek. The inconsistency of the weather as winter transitions into spring doesn’t just cause black ice on the highways, though. The run-off from melting snow can form a thick layer of ice on driveways, side streets and parking lots, too, leading to more low-speed accidents, which are still dangerous. Traumatic brain injuries, broken bones and serious bruising can happen when vehicles are going only a few miles per hour. Melting snow during the day freezing again at night can also wreak havoc on road surfaces, buckling asphalt and causing potholes that will throw off a vehicle’s alignment, and sometimes result in crashes. Late-season snowstorms will often pack snow onto road surfaces, leading to hidden hazards like debris, patches of unstable road surface or holes. 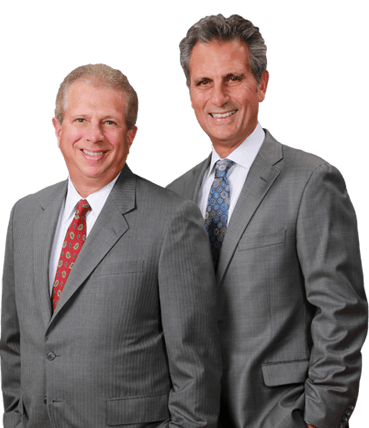 Have you or a loved one been hurt in an Illinois car accident due to the fault of another person? If so, consider seeking the advice of an experienced personal injury attorney in your area to learn more about your legal rights and options you may have to hold the responsible party (or parties) accountable.